Annam Suites buildings are a fresh alternative to traditional serviced apartments, reflecting a contemporary lifestyle at unbeatable value. The Annam Suites properties are designed to provide both a dynamic living space and a unique accommodation experience whether you are a business or holiday traveller. 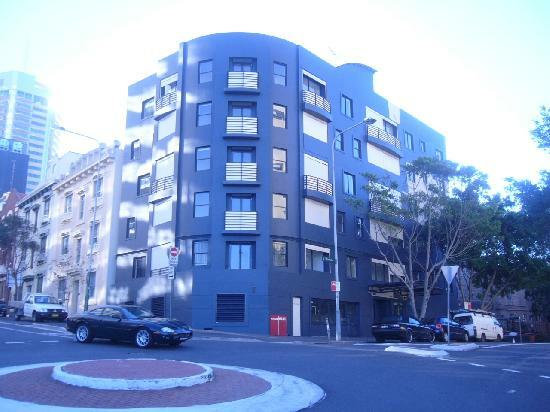 These quality Sydney apartments are ideally located in Potts Point, just a short distance from the Sydney CBD and everything that Sydney has to offer. All types of travellers can take advantage of the discount accommodation at the Annam Apartments, as well as the range of modern amenities including direct internet access, faxing facilities, guest laundry, lift, tour desk, baby cots available, daily housekeeping and express check in/out. Smart new designer oversized Studio apartments and one bedroom apartments. All feature the very latest in stainless steel appliances, designer bathrooms, fast wi-fi connection & free local telephone calls, 32" LCD TV with free FOXTEL cable television. Designed to provide a unique experience for both business and leisure travellers, experience the best of Sydney's Inner City lifestyle accommodation with Annam Apartments. Nearby Attractions : Enjoy Sydney CBD and the inner city living at Annam Apartments. Our roof garden is perfect to chill-out after a long day at the office or doing tourist activities. 1 Bdrm Queen/ Twin Apartment : Sleeps up to 3 guests on 1 Queen Bed Or 2 Single Beds + Rollaway Bed Extra. Deluxe Queen Studio Apartment : Sleeps up to 3 guests on 1 Queen Bed Or 2 Single Beds Upon Request.